Start your #SASGF social plans! With SAS Global Forum (#SASGF) quickly approaching, many of us are starting to plan our travel and conference schedules. So why not also start your social plans? That’s right; being active on social media, particularly on Twitter, is a great way to be part of the SAS community. To kick off, all you need to do is set up a Twitter handle and start following and sharing. If you don’t have a Twitter handle (or don’t know what one is), check out this 18 Practical Twitter Tips for Beginners blog post. SAS office Twitter handles such as @sas_anz for SAS Australia and New Zealand. Hint: use the followers and following list on SASsoftware to see who else to follow. 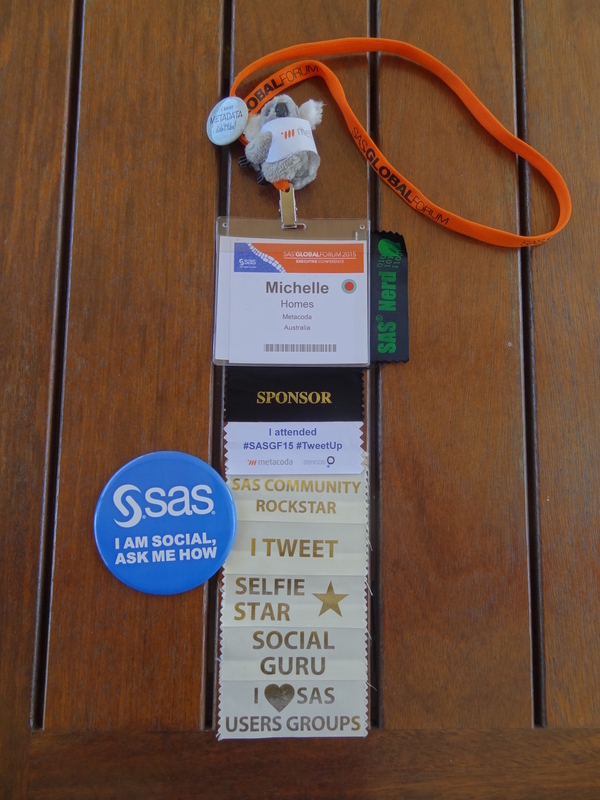 Also, you may want to check out some popular SAS-related hashtags such as #SASGF, #SAS, #SASusers, #SAStip, #SASAdmin, #SASCertified, #SASInsights, #SASPartners, #SASprofs. Whether you’re going to SAS Global Forum or not, we’d love to know your Twitter handle and your favourite hashtags and Twitter tips (use the comments below). FYI, my Twitter handle is @HomesAtMetacoda; I look forward to connecting and sharing with you! P.S. Now that you’re a tweep, join us at the #SASGF #TweetUp in person, or on Twitter, on Monday 18th April.